Home › Fixed Deposit › What’s Your Contingency Plan To Beat Out The Inflation Game? What’s Your Contingency Plan To Beat Out The Inflation Game? Saving money for a rainy day is something that most people think and talk about, but never actually get around to actually doing. 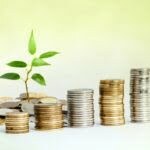 The fact of the matter is, many of us end up getting into money trouble because of a situation that could have been made easier or even averted completely, if only we had savings to deal with it. We won’t know the importance of a contingency fund until we are thrown in a situation that desperately needs it. According to experts’ recommendation, we should have a contingency fund that equals at least three-month’s worth of our gross monthly income. In addition, this needs to be placed in somewhere with a return that is higher than the inflation rate and also kept liquid. One key aspect to keeping your contingency fund is putting it somewhere that you can’t access too easily – you don’t want to be tempted into dipping into that money pool to pay for the latest iPhone model. At the same time, it should be readily accessible for when you truly need it, such as when faced with an emergency that demands cash right there and then. Obviously, we’re not talking about stashing your money under your pillow. Not only is doing so unsafe and unwise, it gains you no returns and certainly does not protect you against inflation. It’ll actually result in your fund depleting by the time you need to use it. Inflation refers to an increase in the general level of prices of goods and services. When this occurs, the purchasing power of currency falls so it’ll actually be worth less over time. What this really means is that your money is slowly shrinking in value. Is there a way to beat inflation? We already know that to safeguard your hard-earned money, you will need to find a way to beat inflation. To do this, one has to invest in assets that have the potential to generate returns that are higher than the inflation rate. Financial instruments like stocks have the potential to rake in higher returns, but they also come with a higher investment risk and may not be as liquid as you want your contingency fund to be. You want your contingency fund to be safe, the possibility of it disappearing due to market risk isn’t something you want. This makes fixed deposit accounts a favourite to keep one’s emergency money. Fixed deposits have been popular due to their characteristics of safety of capital and a surety of returns. However, there’s usually a penalty involved in getting those returns when you withdraw it before maturity. On top of that, at a typical interest/dividend rate of 3.25%, returns you get from fixed deposit is hardly enough to weather the current inflation rate, which was recorded at 3.3% in July and 3.1% in August. According to Trading Economics, this inflation figure is projected to rise further to 3.5% in the fourth quarter of 2015. The recent increase in toll rates will no doubt set off a chain reaction that will further drive up inflation rates. Unfortunately, this means that fixed deposit returns will quickly be outstripped by climbing inflation figures. So it all looks pretty depressing. Where can we keep our safe, liquid and yet protected against inflation? To truly protect your fund from being eroded by the rising inflation, you must look for an investment product that will be able offer at least 4% return per annum. The higher the return, the better but remember, contingency funds should never be kept in high risk investments. There’s a campaign offered by Maybank Islamic for their new Mudarabah General Investment Account-I (GIA-i) that fits perfectly into that category. This first-come, first-served campaign offers a step-up in indicative rates from 4% to 6% per annum over a tenure of 12 months. 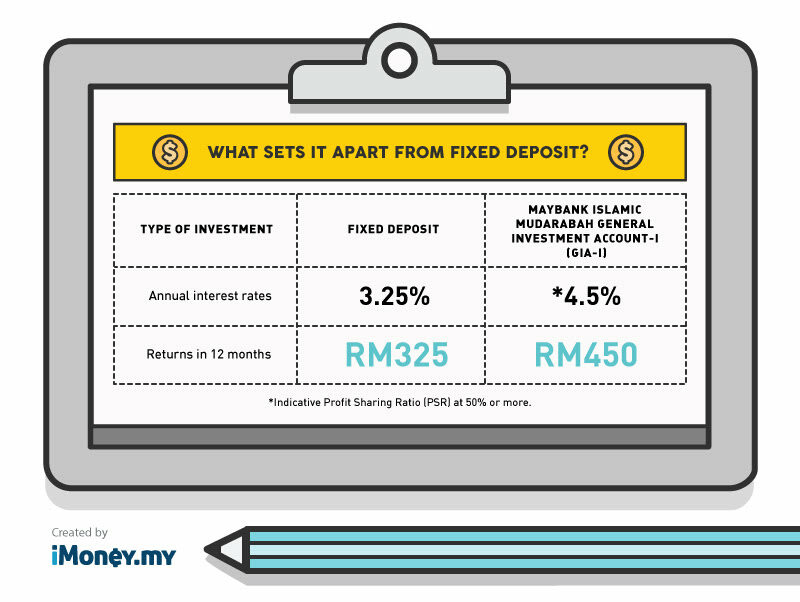 What sets it apart from fixed deposit? The account itself is unique. It’s a low risk investment account so it has very similar characteristics to a fixed deposit account yet it’s able to yield higher returns. Couple that with their campaign and you have a really good place for your contingency fund for the next 12 months. 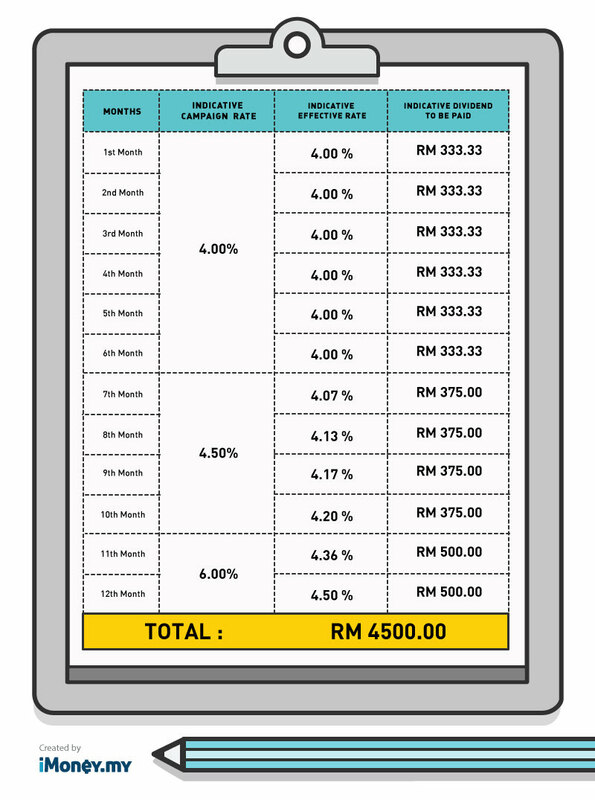 Here is how much you can potentially be earning with the investment account compared to fixed deposit if you put down an initial investment of RM10,000 – the minimum placement for individual investors. The minimum placement for small-and-medium sized enterprises (SMEs) and businesses is RM25,000. Also, when you sign up for a fixed deposit account, you are basically locking your money away in a bank, often for months (sometimes years). If you do withdraw your funds from your fixed deposit account before the agreed maturity date, you will likely be penalised in the form of reduced interest/dividend or penalty fees. 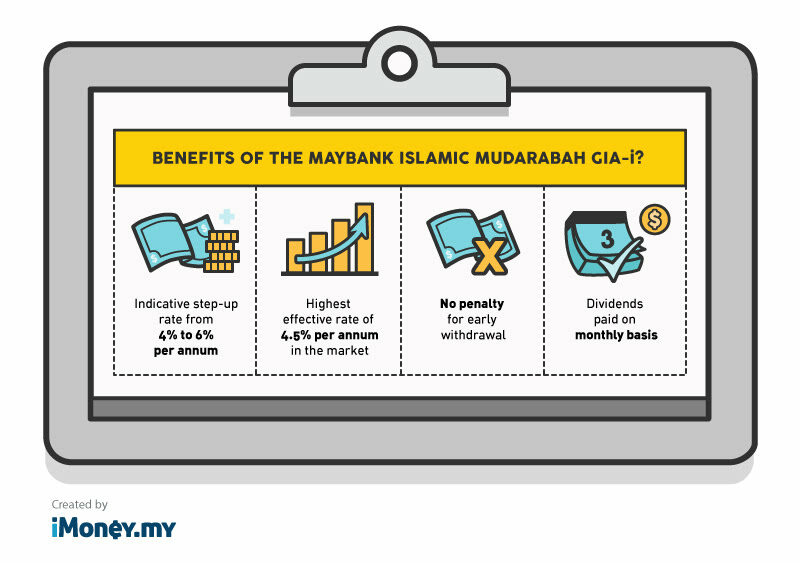 Conversely, the Maybank Islamic Mudarabah GIA-i comes with no lock-in period and no penalty for early withdrawal, and offers monthly dividends, so you have the freedom to access your funds whenever the need arises. No penalty. It is also currently the only campaign in the market that offers the highest indicative step-up return of 4% to 6% per annum. Though this Mudarabah investment account is not covered by PIDM, it is invested in Maybank Islamic Berhad’s (MIB) assets, where MIB has been accorded the highest rating of AAA by Malaysia Rating Corporation Berhad (MARC) and RAM. MIB is also the largest Islamic bank in Malaysia and the third largest Islamic bank in the world. Basically, it’s pretty safe in here.So what you’ll be getting are higher returns on your contingency fund (way ahead of inflation) AND the ability to withdraw them at any point in time while still being able to benefit from the returns since they’re paid out on a monthly basis. You can’t always prevent emergencies, but you can take some of the financial sting out of the unexpected by putting aside just a little extra money – in the right place! You can find out more about the sweet deal here.